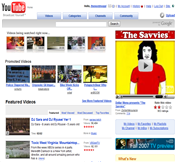 The MySpace music service allows both free streaming and paid downloading of music. 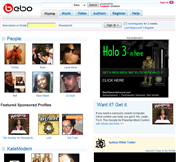 In order to give you the most comprehensive opinions on MySpace Music , below we list reviews written by experts, editors, and users on other websites. If these reviews don't provide a numeric/quantitative rating, we have created a rating called an SR Equivalent score which is based on the overall opinion of the writer. 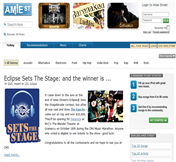 MySpace Music has launched! 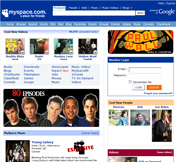 The much anticipated service from MySpace went live on September 25. I have to say, the service is OK but there is nothing that really stands out other than the fact that you can now legally post music and listen to the music on your profile page and in playlists. 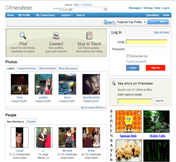 The cluttered MySpace user profile pages make it difficult to find the music or anything else on the page but if you can get around that, most MySpace users will probably like the service. 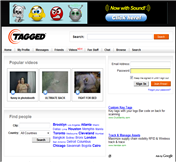 MySpace Music is supported by advertising so songs can be streamed for free via your web browser (no download). This is definitely the most compelling part of the service and should allow bands / artists to grab a significant level of exposure throughout the MySpace network of over 120 million users worldwide. 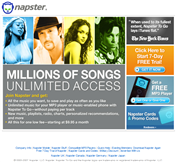 In addition to streaming the music for free, users can also buy songs in MP3 format via a partnership with Amazon.com. 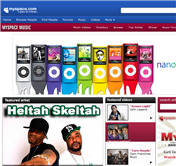 The MySpace Music service is driven mainly by playlists that users create, or collections of songs similar to a compilation. 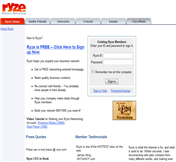 Users can create an unlimited number of public or private playlists. One of the big drawbacks of the current service is that you can't share playlists with your friends or other MySpace users yet. The only playlist that is seen by other users browsing your profile page is your Profile Playlist, which can't be more than 10 songs. All other playlists that you create are for your eyes only. 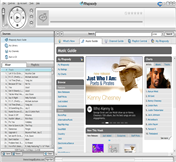 The service does show you individual songs that your friends have added to their playlists via a message stream but other than that, you can't see playlists from other users in the MySpace community. The music search works well but I often found songs in the search results that were not on the artist profile pages. For the most part, the search results give you a pretty good list of relevant options based on artist name, song name, and / or album name. 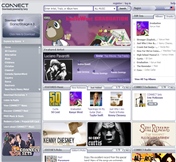 By going directly to the artist profile page, users can see all of the songs and albums offered by those artists and stream and / or purchase them. From a music library perspective, it seems like most of the music you search for is available for streaming however a lot of music is not available for purchase yet. 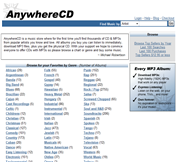 There seems to be more MP3 purchase options being added each day. 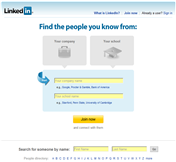 Again, overall, the service is OK and if you can deal with the layouts of the MySpace profile pages, you may really enjoy the service. I just don't get the fact that there is just one playlist on user profile pages with just 10 songs visible to your friends and the community. This version of the service feels a lot like iMeem without all of the sharing features. You can bet on MySpace adding a ton of new sharing features over the coming months and really making this service one of a kind. But until then, use iMeem.